Obesity simply means that you are notably over your ideal healthy weight, at least 20% over. The term might seem depressing, but almost 70% of American adults are overweight or obese. You are not alone. Being obese makes you more susceptible to health issues like heart disease, stroke, high blood pressure, diabetes and more. The statistics about obesity are shocking! Nearly 13 million children in the US aged 2 to 19 are obese. Roughly one out of three children in the US aged 2 to 19 is either overweight or obese. And over 78 million adults in the US are obese. That’s around 35% of the total adult population. Losing a few pounds can give you cardiovascular benefits, so each step that you take towards the right direction is one step to achieving a healthier life. Try to think of the mentioned positive outcome that you can have when you are struggling to maintain a healthy lifestyle. Just take it one step at a time, and you’ll eventually get there. When your weight is within the healthy scope, your body will circulate blood more efficiently, your fluid levels will be easily managed, and it will be unlikely for you to develop diabetes, heart disease, specific cancers, and sleep apnea. Since your body is made up of water, fat, protein, carbohydrate and different vitamins and minerals, if you get too much fat, you will have an elevated risk for health issues like high blood pressure, high cholesterol, and diabetes. When you become obese, your blood pressure and triglyceride levels will increase significantly. Your HDL cholesterol will also be less. HDL cholesterol is associated with lesser risk for heart disease and stroke. Therefore, less HDL cholesterol means your risk for heart disease and stroke gets higher. Your blood pressure will also increase. And it can cause diabetes. Diabetes can even result to making the other risk factors worse for some people. Heart attack peril is remarkably high for people with diabetes. Obesity more than just raises the risk for heart disease and stroke. It also hurts the heart and blood vessel system. 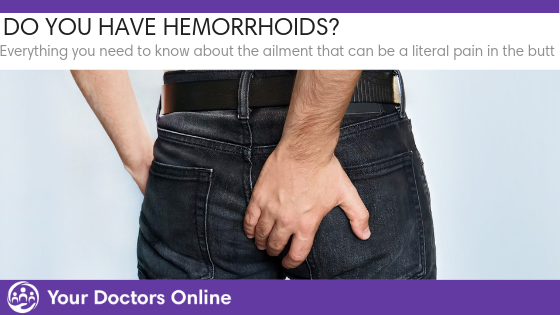 It also causes gallstones, osteoarthritis, and respiratory problems. Doctors recommend that every adult should get his/her BMI calculated at least once a year. The American Heart Association provides an online BMI calculator for adults. Those who have a BMI of 30 or more are deemed obese and would require treatment. 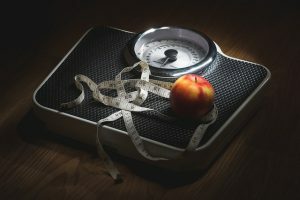 The association also suggest that obese patients should participate in a weight loss program that’s medically supervised for 2 or 3 times in a month for a minimum of six months. The treatment plan will involve eating lesser calories than what your body needs, getting aerobic exercises for half an hour most days of the week, and learning the skills to alter not so healthy department. For some critically obese patients, weight loss surgery can be considered. These are patients who have one or more health problems that are related to obesity like diabetes, high blood pressure or sleep apnea. It is therefore advised that if you want to lose weight safely, consult your doctor about obesity screening and the best treatment options available for you. If you are searching for the most effective foods that can help you to lose all of the excess pounds, here are some of those that deserve a space in your pantry. These will help anyone lose fat quickly. Avocados are packed with monounsaturated fat that aids in reducing weight and in achieving the most ideal health. These also consist of a rare form of sugar called mannoheptulose that aids in lowering excess insulin levels, which can stop you from storing fat. 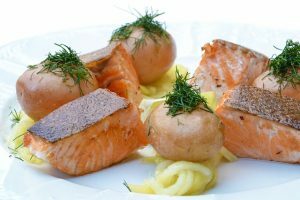 Salmon has healthy omega 3 fats that helps reduce and reverse the fat cell inflammation brought about by weight gain. Not to mention the fact that it is brimming with protein content. Protein is great in activating specific hormones like CCK that helps you feel like you’ve already had enough to eat. It also aids in synthesizing muscle that’s metabolically active. As a result, you burn calories even when you are resting. Any type of nuts will be beneficial as their fibers will chase away your hunger and give you a good dose of protein and healthy fats that will help burn fat faster. Raw nuts like pistachios, Brazil nuts, and almonds aid in naturally producing more testosterone. To get the most weight loss and nutrition benefits, choose to eat raw and organic nuts instead of the roasted and salted versions. Whenever you can, add chili, jalapeno, cayenne or 1 teaspoon of hot mustard for an increase in your body’s fat burning metabolism. You will get 20%-25% of metabolism increase for up to 3 hours after eating. Both hot peppers and mustards can be helpful in reducing your appetite because they increase the norepinephrine and epinephrine levels in your body. According to research, green tea is packed with the antioxidants called catechins. The most crucial among them is epigallocatechin gallate (EGCG) that improves metabolism. To get its weight loss benefits, drink 2-3 cups per day. The compounds in green tea also increase the hormone levels that tell fat cells to break down fat, which in turn releases fat into the blood stream. Fats are then used as energy. Reasons abound for you to add olive oil in your pantry as it helps you get the most ideal health. For weight loss though, oleic acid that can be found in olive oil applies a powerful effect that happens in your small intestine. It becomes transformed into a compound called oleoylethanolamide or OEA that prevents hunger and quells your appetite by telling your brain that you’re already full. Also called chickpeas, these are loaded with over 2 grams of resistant starch for every half cup serving. Resistant starch is one type of dietary fiber that makes you feel full for a much longer period of time. This kind of beans is also packed with fiber and protein. Studies have shown that deficiencies in nutrients like vitamin C, vitamin, magnesium, and zinc results to higher percentage of body fat and belly fat. The said deficiencies can also make your body to persistently hold on to fat. These foods do not only help you lose weight, but are also very important in creating your most ideal health. As long as everything is taken moderately, you can never go wrong with these healthy alternatives. Go ahead and give them a try to reap the benefits they bring.